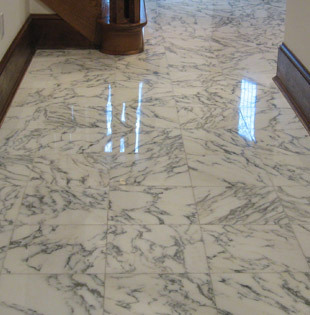 How to repair chipped and cracked marble tiles floor easily? 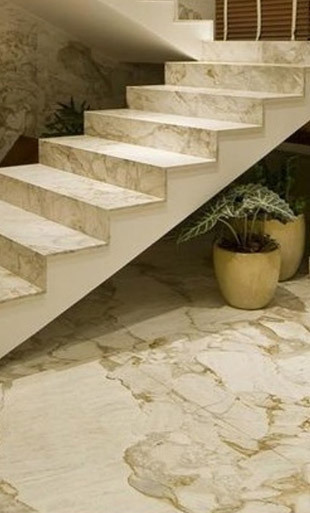 Marble is a globally preferred construction and interior designing material, and known to be used since ages. Extensive use of marble in numerous edifices, monuments and historical buildings worldwide testifies its popularity in almost every phase of history. 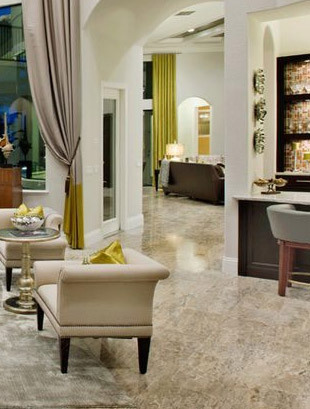 Incidentally, marble tiles are relatively a porous and soft stone and may get damaged if not handled properly. Flooring is a popular application of marble and chances are pretty high that it might get chipped or cracked if anything heavy falls on it. 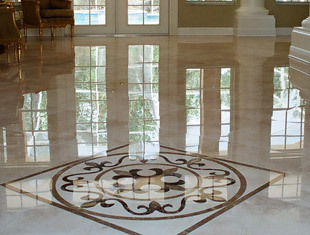 But, this should not be a major concern as any crack or chip on marble floors can be easily repaired without spending much. 1. Preparing the Surface for Repair: Unlike scratch removal, this doesn’t require much preparation like finish removal and thorough cleaning. Instead, it needs very minimal surface preparation. The hole or gap in the damaged marble floor is likely to have small, loose marble particles that should be removed for the better adherence of the patch. A brush is recommended to remove dirt and tiny marble chunks from the hole or gap. You can also use a handheld vacuum to pull out particles that are sitting deep in the crack and out of the reach of the brush. Now remove dust particles from the area surrounding the crack or chip. 2. Replacing the Chunk: If you have the detached chunk of the marble then this will ease out your work. In fact, marble does not split in tiny pieces and repairing the crack becomes easy when you know how exactly it has been caused. For this kind of repair, a marble or stone-specific adhesive is needed. The process is also quite simple and requires applying adhesive to both the chunk and hole, and then placing the former inside the latter. Gently press it inside and wipe off excess adhesive. 3. Filling the Gap or Hole: It is probably the most uncomplicated method of repairing a marble floor with a detached chunk or even without it. The hole is required to be filled with epoxy and so, the hole should be well cleaned and prepared for the same. An epoxy with two parts should be used and both the parts should be thoroughly mixed in a clean bowl as per the instructional manual provided with the same. Keep in mind that you need to be a little quick as the epoxy mix will soon start to solidify. Fill the mix into the hole or gap until it starts overflowing through the edges of the hole. You can make use of a putty knife to evenly spread the epoxy mix and push it deep inside the hole. Use a soft, damp cloth to wipe the area around the hole. This helps in removing the excess epoxy mix and also evenly levels the epoxy with marble surface. 4. Final Finishing: Sealing the spot of crack or chip with polyurethane can be done after the epoxy sets. Put some polyurethane in a small bowl and apply it on the epoxy surface with a micro-brush. Being easily repaired for minor damages is an advantage of natural stones, which is not the case with many other flooring materials, especially engineered tiles. However, it is always suggested that proper care and maintenance measures should be taken to keep your stone floors good enough to last for decades like new. 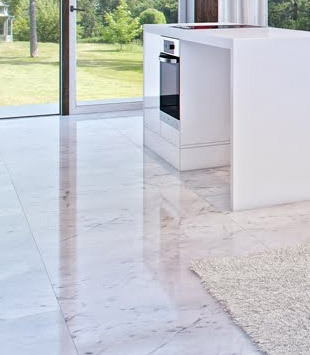 For a range of marble products like tiles, slabs and articles, you can contact Regatta Universal Exports, a 17-year-old manufacturer and supplier of marble from India. With high product quality, dedicated service and time-bound deliveries, Regatta Universal Exports has been successful in establishing a highly satisfied global customer base in the last few years.